Welcome To The Treasure Coast!! 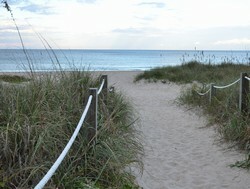 We primarily serve the Treasure Coast of Florida including Martin and St. Lucie counties and northern Palm Beach County. The City of Fort Pierce has a variety of Science/Learning Center, such as: Oxbow Eco-Center, Hallstrom Planetarium, Smithsonian Marine Station, and Harbor Branch Oceanographic Institute. 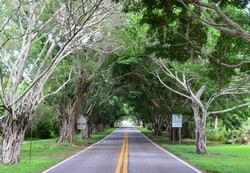 Stuart, FL is located on Florida's East Coast, which borders the St. Lucie River and West of the Indian River. Along with it's gorgeous beaches, Stuart also has a wide variety of activities for all ages. Including: Museums, Theatres, Parks, Shopping, Dining, Festivals and Concerts, Sailfish Splash Waterpark, River Boat Cruises, Fishing, and Biking. Centrally located between Jupiter and Stuart along Florida’s Atlantic coast, Hobe Sound is home to some of the most beautiful nature spots in the state. Travelers from all around the world enjoy its pristine beaches, unspoiled parks and championship golf courses. Explore nearby Jonathan Dickinson State Park for camping and canoeing or Blowing Rocks Preserve to view the limestone-studded beach. At high tide, particularly in winter and after storms, water is forced through the holes in the rocks as high as 50 feet in the air. Snorkelers also are found of the preserve’s limestone formations, the largest on the nation’s east coast. 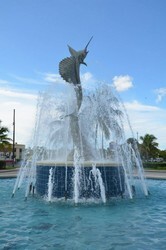 Port Saint Lucie offers a variety of activities for people of all ages, interests and incomes. PSL is best know for its sunny skies and beautiful beaches. Port Saint Lucie is also known for its Scenic activities, such as: St. Lucie River cruises, Woodstork Trail, Oak Hammock Park nature trails, Veterans Memorial Park at Rivergate, and Botanical Gardens. Museums, such as: Civic Center Art Gallery, Official Navy Seal Museum, and A.E. Backus Museum & Gallery. Theaters, such as: Sunrise Theatre, Pineapple Playhouse, and McAlpin Fine Arts Theatre. Port St. Lucie also has a variety of community/special events, such as: several annual festivals and parades held at the Civic Center. These include Celebrations for Martin Luther King Day, St. Patrick's Day, the Fourth of July, Oktoberfest, the Fall Festival, the Annual Bonfire and Hayride and the Holiday Festival of Lights.